Stark Builders, Inc. is a residential remodeling and custom home building company. Stark Builders was created with the same values and basic tenets that we continue to implement today. We take great pride in our integrity, old world craftsmanship, and meticulous stewardship of the owner’s investment. We choose to only work with architects and owners who demand these same goals of themselves. We do not settle for anything less than perfectionism so our clients never have to question the reliability and quality of our projects. We have extensive construction experience in many of the most challenging conditions such as finely tuned details, difficult sites, tight budgets, and strict schedules. 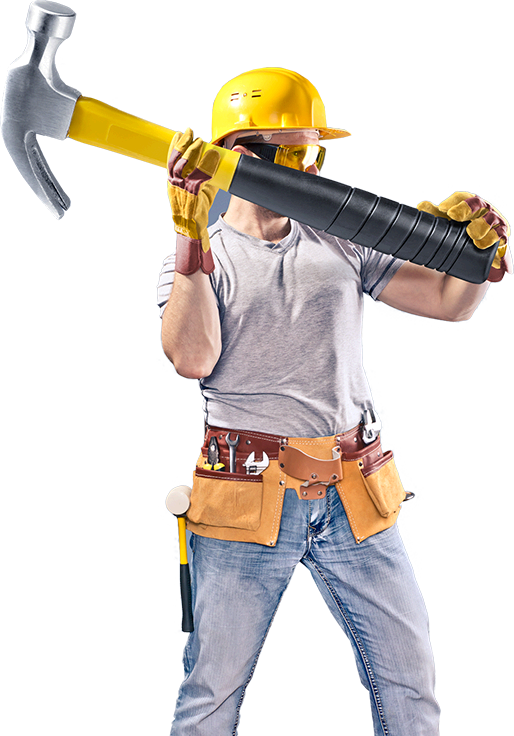 We are exceptionally adept in our remodeling projects and do our best to maintain continuity for the families. We do our best to ensure that they are able to remain within their home during these types of projects. We provide our clients with vital information concerning realistic and updated schedules. We consult with families on every decision that must be made at each juncture. When we take on a project we view our clients as members of our team. We also provide all of the best options at the smallest cost and carefully listen to their needs and preferences. Stark Builders never utilizes or recommends design services, designers, or architectures that we are not completely familiar with. We will only seek out the most highly skilled experts for all tasks involved in completing your project successfully and as expediently as possible. We have been dealing with the services we recommend for several years. We are confident that they are the most respected and best in their fields. Our Stark Building team has been providing a wide variety of professional construction and remodeling services in the great state of Illinois for several remarkably successful years now. We strive to maintain an expert level of services and utilize only the highest standards in the industry in order to not simply meet, but exceed our clients’ expectations in all areas and on all levels. We are passionate about our clients, our projects, and our neighborhood. We are very proud to say that our reputation speaks for itself. We have a proven track record of our countless achievements and numerous successful accomplishments. Stark Builders, Inc. was founded right here in Chicago, Illinois and we have dedicated ourselves to ensuring the highest level of client satisfaction possible. We have built a reputable company in the United States by showing the exact same consideration and respect for all of our clients. Our team only uses superior quality products and supplies. We will never sacrifice client satisfaction simply to make a profit. We inform you about and guide you through every single step from the beginning of your project to well beyond completion. Our team at Stark Builders, Inc. provides the absolute best customer service and support in the entire industry. We are highly experienced in working in some of the most difficult situations such as problematic project sites, rigid schedules, and inflexible budgets. Our highly skilled team of experts specializes in preserving family continuity during remodeling projects by doing our best to ensure that they are able to remain in the home. Our goal is to disrupt their normal life as little as physically possible. We provide detailed updates and set realistic scheduling goals throughout the entire process. We are very familiar with the local area, building codes, regulations, and businesses. We offer our clients assistance in selecting only the most elite designers and architects when, and only if, it is absolutely necessary. Our business is not based upon high pressure sales commission. No member of our team will ever recommend anything which is not required. Even in the even that an outside entity must be brought in, we will consult with you every step of the way. Our team members makes suggestions based upon our clients’ preferences, needs, and budget. These are only recommendations which allow clients to review and weigh each of their options. Allow us to get started! Stark Builders, Inc. offers a wide range of construction and building services to residential clients. We provide professional, expert services to all of our clients for all of their projects regardless of complexity or simplicity, vast or minute. We strive to complete your project within the smallest time frame, for the lowest price, with only high quality supplies and products. We will never leave you hanging once the job is complete. We are proud of the fact that our customer support and service is attentive and thorough well beyond project completion. Call one of representatives today and allow us to get started on your next home improvement project. Everyone at Stark Builders, Inc. strives to ensure that our clients receive the best service we can provide while attempting to go above and beyond what is expected of us. Honesty and integrity was once thought to be the founding principles of any business. We believe this still holds true today. We do not apply these practices just to our clients, but to everyone that we deal with from our suppliers to our contractors. Stark Builders, Inc. only works with respectable businesses who implement sustainable and honest practices. Our track record is filled with thousands of completely satisfied clients and beautifully successful projects. These principles have made our company one of the most trusted construction companies in the U.S.
One of our main priorities is to not simply provide quality and professional services, but to complete all of our projects for the lowest possible cost to our clients in the timeliest fashion achievable. While we strive to complete all projects quickly, we also pay close attention to every single detail right down to the smallest ones. This practice ensures that we have completed everything with the most stringent guidelines. As the old saying goes, if a thing is worth doing, it is worth doing well. The size of the project does not matter to us. We show the same careful consideration for all of them. Every member of our team at Stark Builders endeavors to learn from all of our clients and experiences. We believe that this is the only way to improve and grow. We value all of our clients as patrons of course, but also as teachers, friends, and neighbors of the same community that we call home. One of our core tenets is that every person within a community is responsible for the safety, well-being, and economic stability of that neighborhood. This especially includes businesses. We have learned that all individuals within a community greatly benefit from their own actions. We put our best foot forward for our clients, our homes, and our families.